Over its lifetime, your garage door will actually move as much as you would if you climbed Mount Everest, up and down five times! At Colonial Overhead Doors in Albany, NY, we have garage doors that will do that and more for many years! If your garage is squeaking and squawking, and making funny noises, call us at Colonial Overhead Doors, so we can repair it for you. We have technicians who are the best in the business, and we’ll take care of the problem. At Colonial Overhead Doors, our committed repairman get great feedback for their work, and they’re always happy to serve you. For the best experience possible when it comes to installing your new garage door, contact us. If you’re looking to update your garage door, but aren’t sure where to start, stop by our Design Centre, where you can see firsthand which garage door style will best suit your house. You can play with accessories and hardware until you get the results you want, so just have fun and be creative. Finding the perfect garage door can be a little bit overwhelming. 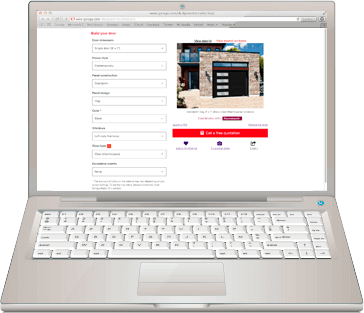 Don’t worry, we have the experience that you need to help you when it comes to select your new garage door. When you work with us, at Colonial Overhead Doors, you can be sure that you’ll have the best advice to choose the right insulation, color, model and accessories for your new garage door. You forget things, don’t you? At Colonial Overhead Doors, we understand that. We know that you’ve probably forgotten your keys a hundred times, and you’ve had to wait for someone to come and rescue you. With LiftMaster garage door openers, you can eliminate those unpleasant situations. Thanks to the benefits of the Internet, you can regulate your garage door’s operation just by clicking a mouse. Your computer, tablet or smartphone can instantly connect you with your garage door, with just a touch of a button. Our repairmen, installers and technicians are dedicated to serving you. They’re knowledgeable, friendly and professional, and they’re committed to providing you with the best possible service. 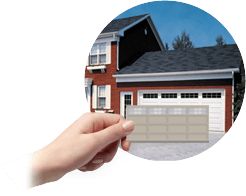 We guarantee the smooth operation of your garage door’s operating system. If it doesn’t work properly, just call Colonial Overhead Doors, and we’ll dispatch our finest personnel to take care of the problem for you!